And, with the final mouthful of rice, the curtain of darkness lifted from Turtle's face and the light of the outside world broke through. Although a tasty experience, being the filling in an onigiri left Turtle with little time (or space) to get anything done. Needless to say, Turtle was quite ready for a brew. 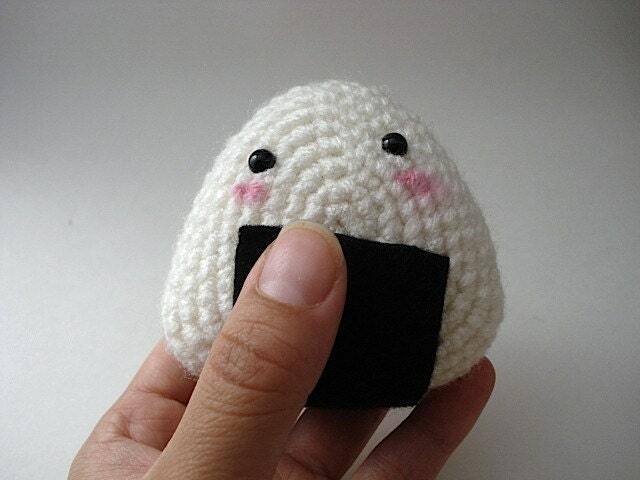 Onigiri Amigurumi from Moon's Creations.